Thirty One Catalog for Fall & Winter 2016 - Get Your FREE Copy! Home » Thirty One Catalog for Fall & Winter 2016 – Get Your FREE Copy! Thirty One Catalog for Fall & Winter 2016 – Get Your FREE Copy! The Thirty One Catalog for Fall & Winter 2016 is now available! Request your FREE catalog today! We are pleased to bring to you the ALL-NEW Thirty One Catalog for Fall & Winter 2016! Fill out the form below to request your FREE Thirty One Catalog today and we’ll get a hard copy right out to you! Don’t miss out on the new products available and new gift ideas available from Thirty One! 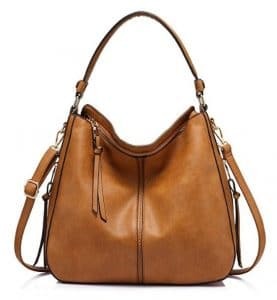 To be sure you get up to the minute details on all Thirty One announcements, signup for our free newsletter and be informed about the details of Thirty One Sales Events and Special Incentives! 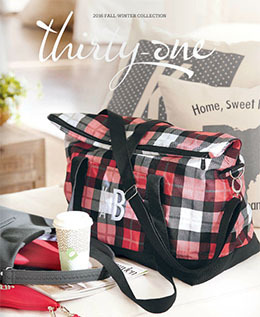 Shop Now for all the fabulous Thirty One products available now!